Israel should have attacked Iran's nuclear facilities 7 years ago, according to former Israel Air Force Chief Herzl Bodinger. 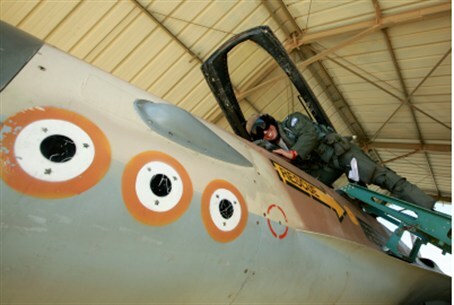 Israel should have attacked Iran's nuclear facilities seven years ago, according to former Israel Air Force Chief Maj. Gen. (ret.) Herzl Bodinger. “I am almost certain that the world won't be able to prevent Iran's nuclear militarization through sanctions, and when they have a bomb, we will be in a completely different situation ... We are very appreciative of American help and their support, but at the end of the day you stand by yourself, with your own fate. If we attack, missiles will fall here, but they will also fall here if the Americans attack." Asked whether he thought Israel could attack Iran on its own, Bodinger said that while Chairman of the U.S. Joint Chiefs of Staff Gen. Martin Dempsey said he does not believe Israel will be able to destroy Iran's nuclear installations, "…I think he isn't totally in the know about what the Israeli forces are capable of. The Americans don't know everything about us." Meanwhile, former Military Intelligence head Maj. Gen. (res.) Amos Yadlin published an article in The Washington Post on Saturday in which he stated that the rift between Israel and the U.S. on Iran could be bridged by a gesture from U.S. President Barack Obama. "A gesture directly from Obama could do it. The U.S. president should visit Israel and tell its leadership — and, more important, its people — that preventing a nuclear Iran is a U.S. interest, and if we have to resort to military action, we will. This message, delivered by the president of the United States to the Israeli Knesset, would be far more effective than U.S. officials’ attempts to convey the same sentiment behind closed doors," opined Yadlin.